First make the pastry by sifting the flour and salt into a large bowl. Then using your fingertips, rub the butter into the flour, lifting the mixture up and dropping it back into the bowl. Keep doing this until the mixture looks like fine breadcrumbs, then mix in 2-3 tbsp of cold water. Bring the mixture together and knead lightly on a floured surface until you have a smooth ball of pastry. Wrap the pastry in cling film and chill for at least 20 minutes. Oil a 25cm loose-bottomed tart tin. Roll the pastry out onto a floured work surface until about 3mm thick. 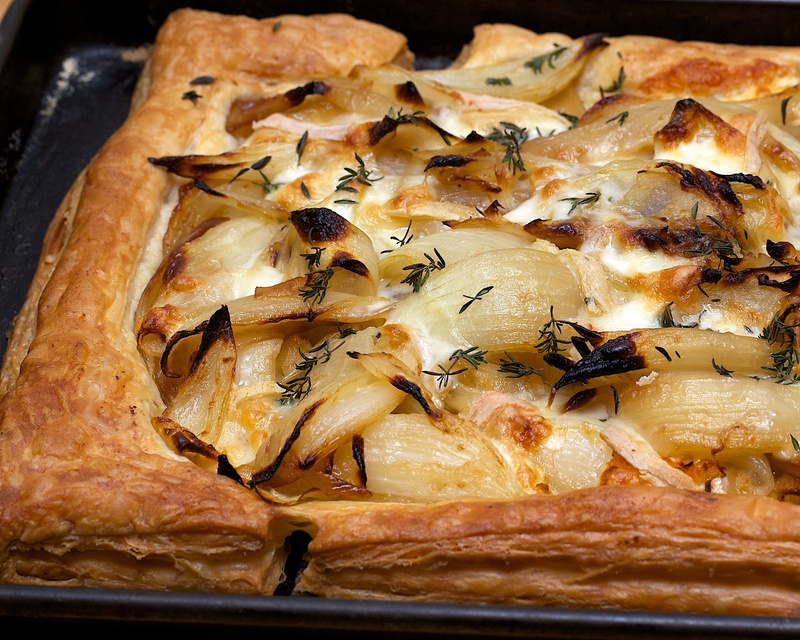 Line the oiled tin with the pastry and leave some hanging over the edges, then prick the base with a fork. Chill for another 10 minutes. Line the chilled pastry case with greaseproof paper and fill with baking beans or uncooked rice. Blind bake for 10-15 minutes. Remove the beans and paper and bake for another 5-8 minutes or until golden. Trim off the excess pastry with a sharp knife. Meanwhile, fry the pancetta in a large frying pan over a medium heat for a few minutes until coloured and almost crispy. Add the leek and sauté for 3-4 minutes until soft and cooked through. Drain to remove any excess oil. Mix the eggs and cream together in a bowl and season with salt and pepper. Add three-quarters of the grated cheese, stir in the leek mixture and add the parsley. Pour the mixture into the cooked pastry case, sprinkle the top with the leftover cheese and cook for 15-20 minutes or until golden and set. Allow the quiche to cool for a bit before serving. Wine Suggestion: We tried a lovely Bott-Geyl Pinot d’Alsace which worked superbly. A great combination of Pinot Blanc 35%, Pinot Auxerrois 35%, Pinot Gris 15% and Pinot Noir 15% (vinified as white wine). 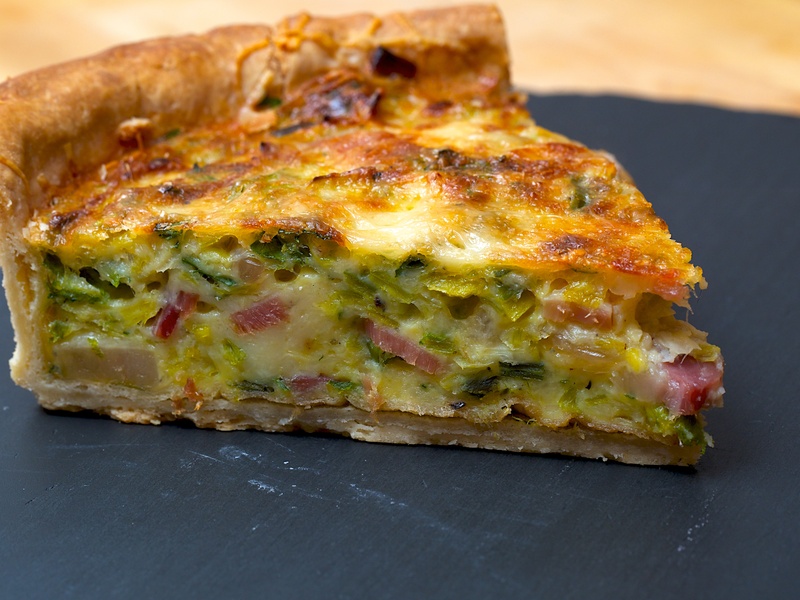 Rich and complex but with the freshness and texture to balance the quiche perfectly.